Filled with hope, humanity and humor, Wiesenthal is the riveting true story of Simon Wiesenthal, an ordinary man who did extraordinary things. Nicknamed "Jewish James Bond," he devoted his life to bringing more than 1,100 Nazi war criminals to justice. 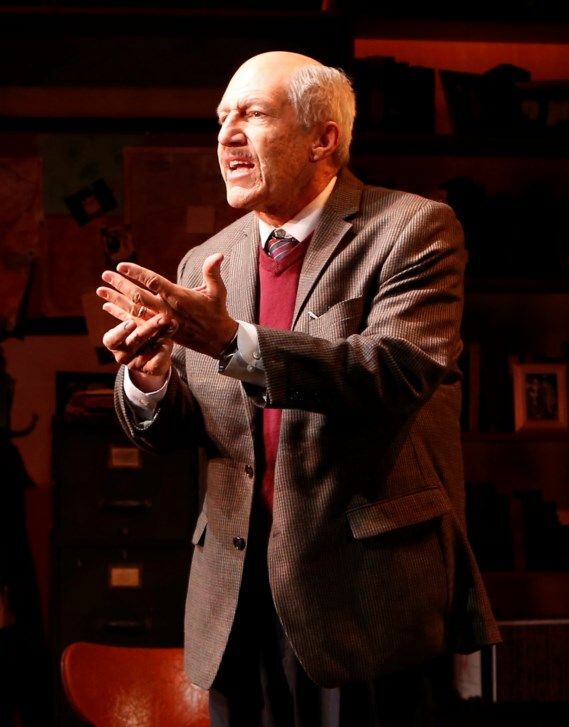 Intelligent, funny, flawed and noble, Wiesenthal was a universal hero. Simon Wiesenthal (1908–2005) was an Austrian-Jewish Holocaust survivor and human rights activist who for over half a century tracked down and brought to justice more than 1,100 Nazi war criminals hiding around the world. The Simon Wiesenthal Center, located in Los Angeles, is named in his honor. Simon Wiesenthal brought 1,100 Nazi war criminals to justice. He also defended a few German and Austrian officers who refused to participate in “the final solution.” He fought for the rights of Jewish, Soviet, Polish, Gypsy, Jehovah’s Witness and homosexual Holocaust victims. However, for me, his greatest legacy is his teaching: he shared his message of tolerance with countless young visitors at his Jewish Documentation Center in Vienna. Simon Wiesenthal was truly an ordinary man who did extraordinary things.